Dr. Golam M. Mathbor is a Professor in the School of Social Work at Monmouth University, West Long Branch, New Jersey, USA. Professor Mathbor served as the Associate Dean of the School of Humanities and Social Sciences at Monmouth University from July 2006 through June 30, 2014. He is the founding Chair of the Department of Philosophy, Religion, and Interdisciplinary Studies and served as its Chair for two terms for the period 2007-2010 and 2013-2016. 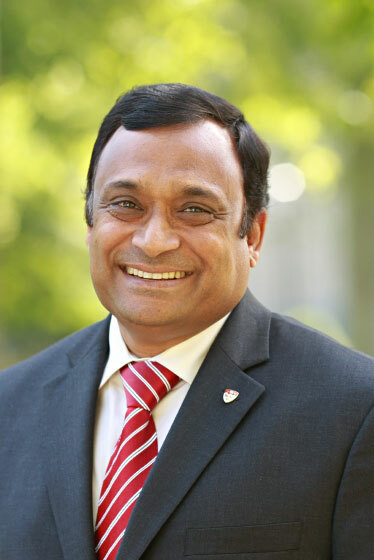 Currently, he is serving as President of the American Institute of Bangladesh Studies (AIBS), and as a Member, Board of Directors of the Council on American Overseas Research Centers (CAORC), USA. Dr. Mathbor is also serving as Advisor of Phi Eta Sigma National Freshman Honor Society-Monmouth University Chapter since 2005. In the past, Dr. Mathbor served as Vice-President and President of the Canadian Association for the Study of International Development (CASID) from 2000-2001 and 2001-2002 respectively. Also, he served as Vice President and Associate Secretary-General of the International Consortium for Social Development (ICSD) from 2008-2013 and 2004-2008 respectively. For the academic year 2003-2004, Dr. Mathbor served as Chair of the Faculty Senate of Monmouth University. Also, Dr. Mathbor served as Coordinator of the MSW Program in International and Community Development Concentration at Monmouth University from July 1, 2000 to June 30, 2006. During his leadership, this cutting edge master’s program received a national award for being the best program for its splendid record of incorporating global components in the curriculum from the Council on Social Work Education, the accreditation organization for social work education in USA. He worked as Project Coordinator for “Developing International Social Work Education and Curricula: An Educational Partnership between Monmouth University and the Higher School of Social Work and Social Pedagogics ATTISTIBA, Riga, Latvia” a project financed by the U.S. Department of State. Also, Professor Mathbor served as a Member of the Global Social Work Education Commission of the US Council on Social Work Education (CSWE) from July 1, 2004-June 30, 2010. He is the founding President of the Long Branch Concordance, a 501c (3) nonprofit community service organization in the state of New Jersey serving in the City of Long Branch. During the course of his decades long career, he has visited 58 countries mostly on official assignments delivering keynote addresses, conference presentations, chairing various conferences, and conducting international research projects. Areas of research include community participation and coastal community development, disaster relief and management, international social development, and international social work. Dr. Mathbor has published extensively on disaster relief, community preparedness, social development, coastal zone management, migration, health, economics, and international social work education. He was successful in raising over a million dollars in external funding for his research work and leadership in professional organizations. He is the author of Effective Community Participation in Coastal Development (ISBN 978-1-933478-54-8) published by Lyceum Books, Inc. Chicago, Illinois, USA. 2017	“Elder Vulnerability in Receiving Home Care Services: Evidence from Bangladesh” (Co-Author with Pradhan, M. A. H.) published in the Journal of Social Development Issues, No. 39 (2), by the International Consortium for Social Development, USA. 2016	“Elderly People among the Patra Ethnic Group in Bangladesh: A Qualitative Study” (Co-Author with Ahmmed, F., Islam, T., and Inaba, M.) published in the Journal of Studies in Languages and Cultures, No. 37, pp. 51-61 by Kyushu University, Japan. 2016	“Local Capacity Building in Humanitarian Crisis: An Effective Dealing Strategy for Bangladesh” published in the Journal of Sociology and Anthropology, Volume 4, Issue 5, pp. 408-415” by Horizon Research Publishing Corporation, USA. 2015	“Women Rebuilding Lives Post-disaster: Innovative Community Practices for building Resilience and Promoting Sustainable Development” (co-authored with Julie Drolet, Lena Dominelli, Margaret Alston, Robin Ersing, & Haorui Wu) published in the Oxfam Journal on Gender & Development, Volume 23, Issue 3, pp. 433-448” by Routledge. 2017	“Rebuilding Lives Post-Disaster: Innovative Community Practices for Sustainable Development” co-authored with Drolet, J et al. accepted for publication in the Routledge Handbook of Green Social Work edited by Lena Dominelli. 2013	“Leading Social Work into the 21st Century” A book chapter published in the book Poverty and Social Inequality in a Globalized World: Challenges for the Reconfiguration of Social Policy, edited by Prof. Leticia Cano Soriano published by the National University of Mexico (UNAM) Press in 2013. 2012 “Disaster Management and Humanitarian Action” with Jennifer Bourassa, pp. 294-310, a book chapter published in the Sage Handbook of International social Work edited by K. Lyons, M.C. Hokenstad, N. Huegler, M. Pawar, and Nigel Hall published by the Sage Publications in July 2012. 2011 “The Role of Leadership in Disaster Relief and Management” a book chapter published in the book Surviving Disaster: The Role of Social Networks pp. 84-99 by the Lyceum Books, Inc. Chicago, Illinois, USA. 2011 “Disaster Relief and Management: Readiness, Response, and Recovery” a book chapter published in the Handbook of International Social Work pp. 109-117 by the Oxford University Press, INC. New York, NY, USA. 2010 “Surviving Disaster: The Role of Invisible Assets of Communities” Chapter 8, pp. 145-162, a book chapter published in the Disaster Concepts and Issues: A Guide for Social Work Education and Practice (ISBN 978-0-87293-137-4) published by the Council on Social Work Education Press, Alexandria, Washington D.C. Professor Mathbor was invited and delivered the Keynote Speech on ‘Effectiveness of Community Participation in Development Initiatives’ for Nobel Prize Nominee “Dr. Akhter Hameed Khan Centennial Birthday Celebration Lecture” organized by Akhter Hameed Khan Resource Center on October 23, 2014 at the National University of Science and Technology (NUST) in Islamabad, Pakistan. Dr. Mathbor delivered the keynote address for a national conference on “Strategic Management and Effective Leadership in Higher Education” co-hosted by the American Institute of Bangladesh Studies and the University of Dhaka, Bangladesh on August 7-8, 2015. He was invited and delivered the keynote address for an international conference on “Poverty and Social Inequality in a Globalized World: Challenges for the Reconfiguration of Social Policy” organized by the National University of Mexico (UNAM) held in Mexico City from March 12-15, 2013. He chaired and delivered the keynote address for the 17th ICSD International Symposium on “Good Governance: Building Knowledge for Social Development Worldwide” held in Dhaka, Bangladesh from January 3-7, 2011 at Pan Pacific Hotel. He was selected and served as a Mentor for the 26th Annual National Conference on Ethics in America organized by Simon Center for the Professional Military Ethic from October 16-20, 2011 at the United States Military Academy, West Point, New York. In 2006, he was awarded Leadership Award by the Phi Eta Sigma National Freshman Honor Society. In 2007, he was awarded the Outstanding Leadership award by the Global Understanding Project at Monmouth University. In 2012, he was awarded Distinguished Service Award by the Phi Eta Sigma National Freshman Honor Society. In 2016, he was awarded Distinguished Scholar Award by the Department of Political Science, University of Dhaka, Bangladesh. He has taught in Austria, Bangladesh, Canada, Latvia, Kosovo, and the USA. His teaching areas include qualitative and quantitative research methods, program evaluation, social welfare policy and planning, issues in international development, management of non-governmental organizations, human rights and social justice, migration and intercultural cooperation, and international social work.